Europe, seen as a great superpower opposed to the United States, is experiencing a period of great uncertainty, both politically and socially. Let's see what's happening in the old continent, through a careful and detailed deep analysis. The "European project" is going through its worst crisis since the Treaty of Rome, initialed in 1957 by the six founding countries (EEC, Treaty of Rome, signed on 25 March 1957, came into force on 1 January 1958 - EU, Treaty of Maastricht, signed on 7 February 1992, came into force on 1 November 1993). The star of European integration has shone for decades: in 1973, United Kingdom, Denmark and Ireland have joined the six founding members; in the 1980’s it was the turn of Greece, Spain and Portugal. In 1995, after the Cold War, Austria, Finland and Sweden joined, and between 2004 and 2007 ten former Central European communist countries joined, together with Cyprus. Lastly, in 2013, it was the turn of Croatia. Undoubtedly, an enlargement to 28 countries, with the population doubling up to 508 million people with different levels of income and culture, could only complicate the attainment of the ultimate goal of "ever closer union". At the moment, Great Britain is still part of the EU until midnight of March 29, 2019, when Article 50 of the Treaty of Lisbon will be applied, a rule that triggers the secession process of a member state. In this climate of uncertainty, a recent government poll, which sees public opinion divided by 47% of citizens opposed to maneuver, says a lot about the confusion that reigns "sovereign". Global integration policies such as the single currency and the abolition of borders (Schengen) have been identified as "great political ideas", trying to overcome economic and practical barriers. It is no surprise that in the first major difficulty, manifested in the form of the financial crisis of 2008, the problems of a single interest rate, for a very diverse set of countries, with socio-economic characteristics and with so many different ideological systems and cultural backgrounds, and without proper tax clearing policies, emerged with the collapse of real estate in Ireland, and in Spain and Portugal to follow shortly. As the storm swelled, theinsidious breakages, or else lacks in the interdependence of sovereign banks and debts came to light, and with the pressure exerted on the most peripheral sovereign debt, the institutional failure that struck Greece has turned out to be full. No eurozone country has ever suffered a financial crisis like the Hellenic country. According to standard criteria, the crisis of the eurozone and today under control, if not even overcome. And here is the second, largest refugee crisis since the end of the World War II, with waves of uncontrolled arrivals that, at present, no one seems to be really capable of stifling, organizing and controlling, and has widely shown the unsustainability of the opening of the internal borders without a shared and controlled external boundary. Attempts to agree and implement a joint European response have failed miserably. The European Commission, with Germany, but especially Italy and Greece, the countries mostly involved with dramatic waves of arrivals, have tried to set up a shared European policy to manage the million and more refugees arrived in Europe over the past few years, with unsuccessful or fluctuating results.Disembarkations follow uninterruptedly, during favorable seasons, and then be uncontrolled once they reach the borders or shores of the host countries. Poor political games have caused a crisis that, at the moment, does not seem to provide oneclear and exhaustive solution. Some leaders of Central European countries, such as Hungary and Poland, have opposed a firm resistance to the rules imposed on the hospitality to migrants.This last one country has openly shown his will to take over other Central European countries to create a counterweight to the dominant powers in the EU; a strategy destined to failure.Evident, as a matter of fact, the disappointment of western European capitals in front of the refusal of the European Central Bloc to participate in a shared European solution to the refugees crisis. Consequently, hundreds of thousands of refugees are encamped and abandoned, and the distribution in the various European countries is not fair. 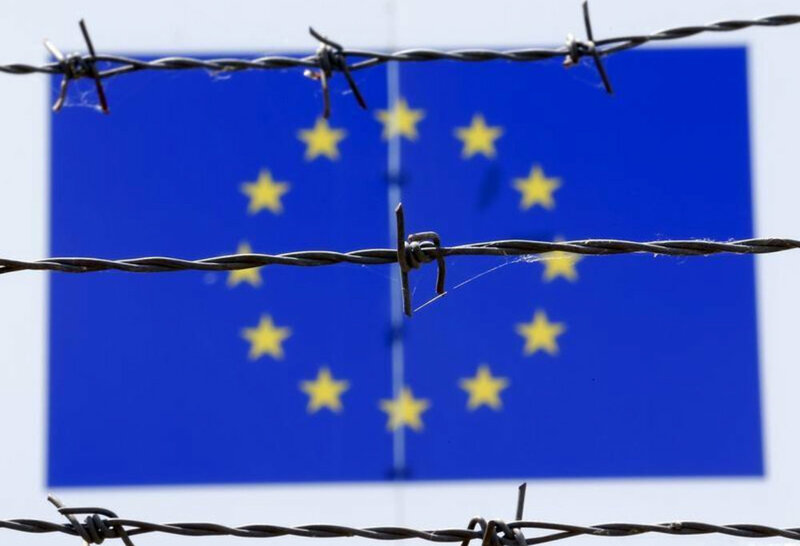 Some countries have decided to re-establish border controls, de facto by suspending Schengen agreements. After the huge waves of arrivals from Turkey, the routes currently preferred are those from Libya and Tunisia. The refugee crisis has created a clear division between east and west in Europe, replacing the North-South division that had characterized the financial crisis and sovereign debt. In spite of the prevailing opinion, this division could undermine European cohesion even more than before. It would be legitimate if the taxpayers in western European countries would protest against the continuing (substantial) funding towards a more hostile and uncooperative central Europe. If this would happen, it could become more and more isolationist to the point of making its stay in the EU controversial and doubtful. The great uncertainty about the present, but also about the future of the European Union, may be the expression of a genuine European identity crisis, more acute in some countries and less in others, but still perceived everywhere. Sixty years of European integration have questioned national identities. Transforming these identities into a superior European identity could not fail to come to terms. What is not to be forgotten is that a union held together by a political pact among its citizens, must also include an identity and a historical and cultural tradition that characterizes every single state, each one expression of a history, a liberal democracy, of a rule of law, as well as of a unique and peculiar open economy. Basil is therefore the strict respect of rules and values, where preserving the national identities of its member states is an essential condition for reducing the uncertainty of their citizens. After the great recession of the economy, European leaders may wonder whether we have not entered a second and more severe form of recession, that of political systems. After the crisis of the euro, it is the global politics to have experienced major consequences, for reasons that have nothing to do with the financial turmoil that has shaken the union, but with identity problems facing the multiethnic character of modern nations, invasive and rampant terrorism, and much more. The symptoms of defection are not difficult to read almost everywhere in western democracies, with Catalonia and its will of independence, as a result of over 700 years of diversity, which at the moment created only further lacerations within the central government of Madrid; with Great Britain ready to leave,and with the concrete chance to see more countries break up, as it could soon be the case for Flanders in Belgium. And who knows what others to follow. The domino effect triggered by these countries could have incalculable and unpredictable repercussions on a global basis. In other European countries, even the regions are increasingly rediscovering roots that differentiate them from national states. Some of these situations are historically known: starting from Tyrolean problem, we find Basque, Irish, Scottish, Sardinian and Sicilian. Then there are other "ethnic differences" officially recognized, but often not very well-known, as for the Albanians or the Ladinsin Italy. The example of Catalonia, which has always ranked among the five richest economic regions in Europe, can be taken as a symbol of this trend, also because it seems to have abandoned the "military" struggle to obtain a definitive political recognition of its peculiarities. Today, the fragility of the systems and the risk of recession are especially and particularly evident in politics. We are in economic recovery, but we still face a “democratic” recession. Compelled to look for solutions to the ongoing crises, we have overlooked the implications of processes that have altered the political outlook, and likewise imposed on the European agenda issues that were overlooked. In particular, the great question is what the EU should be, and what should it keep together? The first response is that of the leaders and movements of the euro-skeptical field and more generally anti-integrationist. For them, the EU should be (or return to be) an international collaborative organization, a diplomatic headquarters, an information exchange arena between mutually independent national states. The second answer is that expressed by leaders and movements of the European field and more generally integrationist. For them, the EU should be (or soon to be) a federal state in its own right, endowed with its own cultural identity. Never as at present it is now difficult to find an agreement for 28 states rather than 6; so the Union appears less united than before.